For non-members of the TPMA, anyone is welcome to attend! 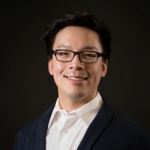 Brian Keng is the Chief Data Scientist at Rubikloud Technologies where he leads a team building out intelligent enterprise solutions for some of the world's largest retail organizations. Brian is a big fan of Bayesian statistics but his main professional focus is around building out scalable machine learning systems that seamlessly integrate into traditional software solutions. Before Rubikloud, Brian has worked at Sysomos leading a team of data scientists performing large scale social media analytics working with datasets such as the Twitter firehouse. He earned his PhD in Computer Engineering from the University of Toronto during which time he was an early employee of a startup that commercialized some of his research. Iqbal Habib is the Director of Data Products & Analytics at Rubikloud Technologies where he leads a team of Technical Product Managers and Data Analysts to help build innovative retail solutions that solve complex problems using Machine Learning. Before joining Rubikloud, Iqbal brings 10 years of experience working in some of Canada's largest retail and loyalty organizations. 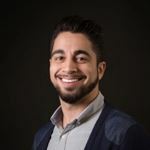 As an Industrial Engineer with a specialization in Operations Research from the University of Toronto, Iqbal is passionate about taking existing complex Analytics processes and turning them into Data Products.